Home/Engines, MF35 FE35 TO35/Ferguson FE35 Vaporising Oil, Correct Thermostat? I have a FE35 and am busy redoing the motor as it was spewing oil. Its a Vaporising oil motor, at least I think so because the carb has a 1578 stamped on it. Is there any other way of identifying the actual motor? I also see the only difference would be the S.R. Jet which is a 80 and on the petrol version is a 70. The VO and lamp oil engine are fitted with a thermostat to provide a hotter engine than for petrol only, this assists in the vapourising of the heavier fuel. If running on petrol only we would suggest making sure it has the correct petrol thermostat fitted. The thermostat fitted to ordinary petrol engines is 65-67 deg (stamped on the thermostat). VO and lamp oil engines it will be a 95 deg C thermostat. So maybee you have been running on petrol with the incorrect thermostat and the engine has been getting too hot? Also remember that VO has a lubricating effect, wheras petrol doesn’t. Also, if you are using petrol all the time, remember that there is no need for the heat vapourising shield over the manifolds. 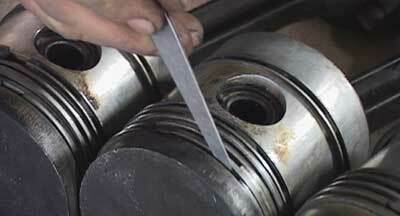 We think that you should be able to use both lead free or lead replacement petrol as the cylinder head is cast iron. The problems only occur when an engine has an aluminium head with no hardened valve seat inserts. I’m afraid paintwork isn’t our thing, but I have also been led to believe that they left the factory in a copper colour. 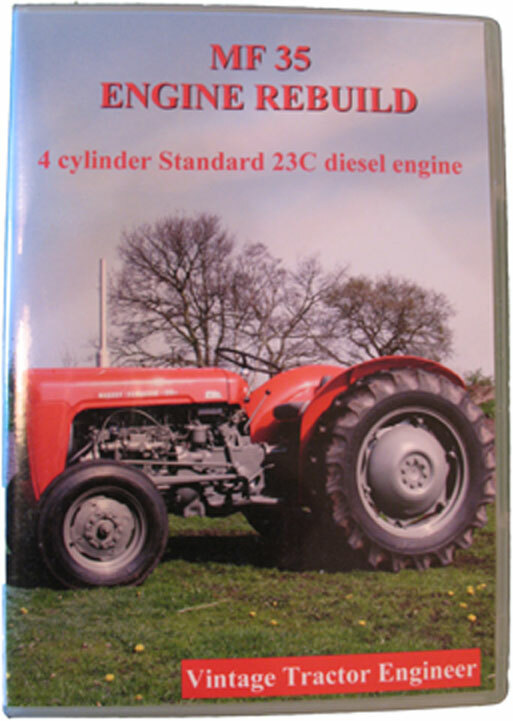 Recipes for Tractor Vaporising Oil. Please could someone tell me the correct colour of the fuel tank and radiator grille for Fe35 grey and gold. The grill should be grey. As for the fuel tank, I believe it should be also be grey. Another thing to note is that the wheel nuts should be grey. The MF35 manual only contains detailed engine information for the diesel engines. The MF35 manual does have the section for the fuel system (carburation) of the TVO engine and also the torques/specifications of the engine. If you are looking for dismantling/rebuild information for the main engine component then the MF35 manual refers you to the TE20 manual. Obviously all the hydraulics, gearbox etc. are contained in the MF35 manual. 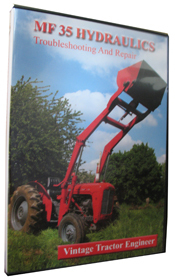 So unfortunately the information for your tractor is split between the two manuals. Whch engine do you have? Valve fully open at 65 degrees C.
SF16862EL onwards 67 degrees C.
Thermostat 85035/78, 95 degrees C.
What is the deg for the thermostat in FE35 DIESEL.